The first car I ever drove was a 1957 Cadillac Eldorado Biarritz. Pretty cool huh? So maybe my Dad had his foot hovering over the brake and we were in a huge field, but still, I'm sure not too many people can say their first taste of being behind a wheel was in such an American Classic! A rare one at that, they only made 1,800 of these back in the day! Mine and Lucy's first experience behind the drivers seat was in this beauty! Most families will have their own "thing," something that they do together, be it at the weekend or a special midweek or end of week event. 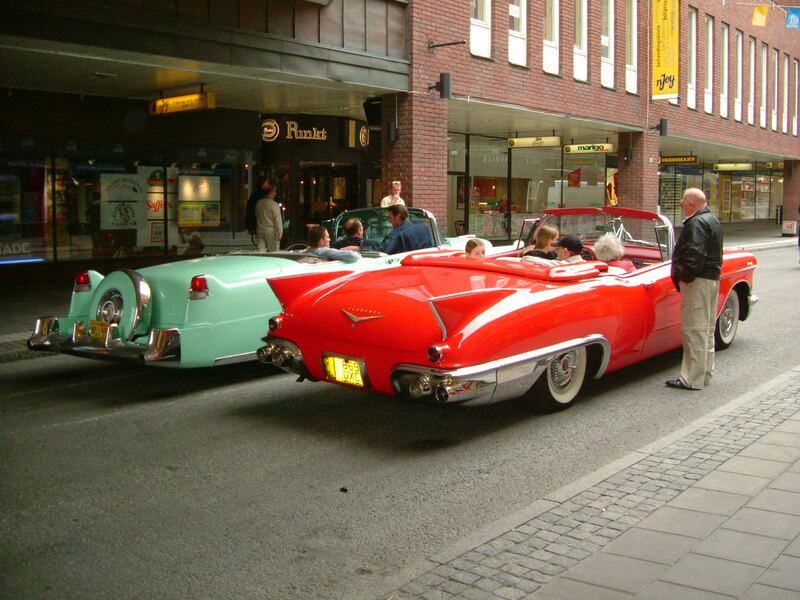 Ever since I can remember our family's "thing" was going to car shows. Our Dad is a huge lover of Classic American Cars, in turn I can probably tell you more about old cars than I can about modern day ones. I really have no clue about what's popular today! Most weekends we would wake up, make sandwiches, pack some crisps, drinks and chocolate biscuits in a cooler and head to whichever Car Show was in town that week. I can't tell you how many weekends we spent at Tatton Park. Dad would meet his friends, we would go on the fair rides and eat piping hot chips from the food truck with Mum. Often we would come home with a new pet Goldfish, although sadly not many of them lasted longer than a night! Nowadays one of our favourite things to do at car shows is find the cute stalls with all the tin signs. 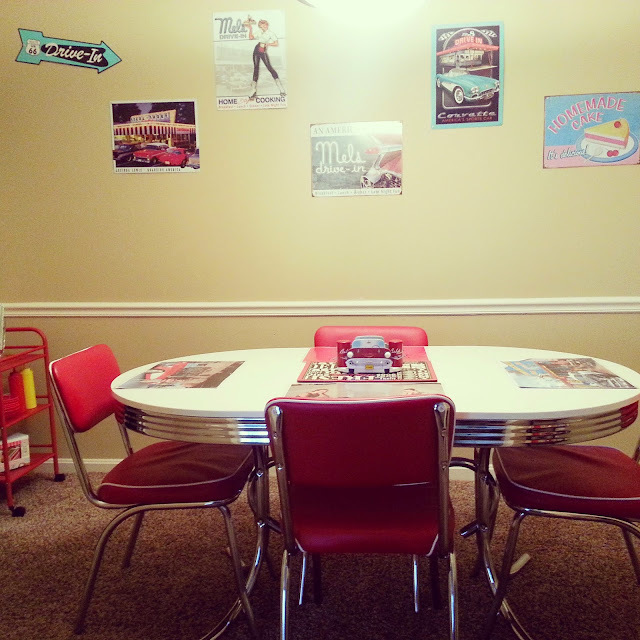 Growing up around all these cars and seeing Dad so into them definitely instilled in us a passion for the 50's era, hence my diner style dining room with 57 Chevy decor! 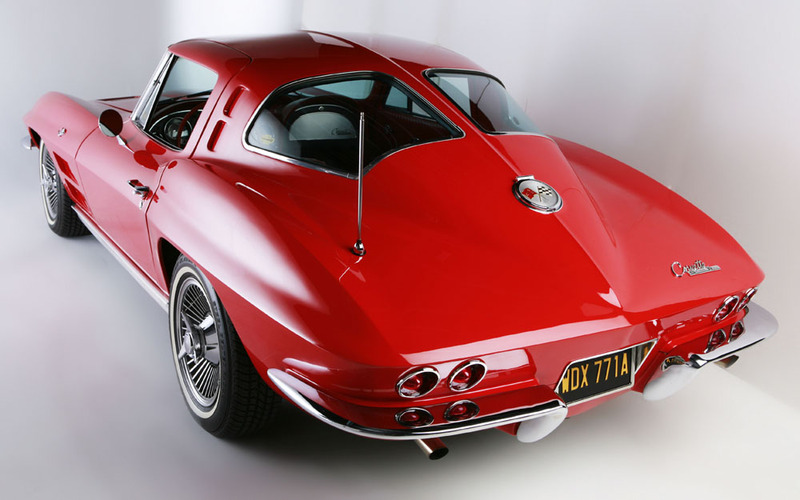 One of my favourite Classic American cars would have to be the Corvette, none of these too modern looking ones though, the older the better. My dream car is actually a 1959 Turquoise Corvette! 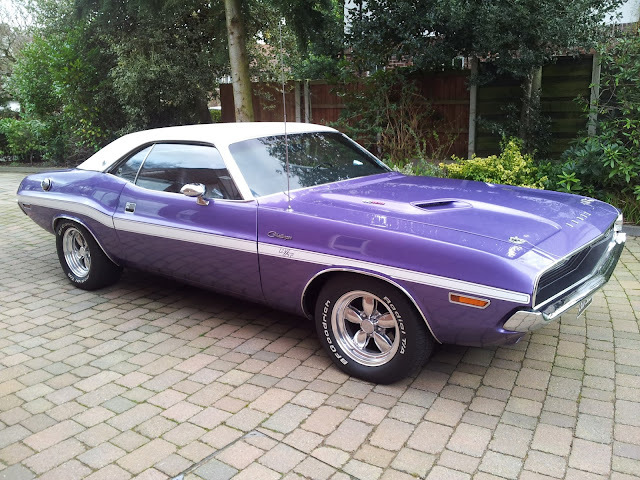 Another pretty sweet classic made famous by the movie "Vanishing Point" would be the 1970's Dodge Challenger R/T! The Dodge was used in the movie as a favour from 20th Century Fox's studio executive Richard Zanuck to Chrysler for providing 20th Century Fox with cars on a rental base for a dollar a day! The cars in the movie were white but I happen to like it in purple myself. It's a powerful one this and makes me want to start grunting like Tim Allen from Home Improvement!! Ahh yes that noise would fit perfectly right...here! This particular 1970's Dodge has been driven by Steve Coogan after appearing in an episode of his show "Saxondale"
I love seeing Dad's face light up when we tell him about a car we saw or when we sing all the words to the American Graffiti soundtrack, I love seeing how happy he is that his daughters share his interests, I mean I may not know all the ins and outs of what goes on when you pop the hood but I will stop at every car museum on Route 66, wash and wax a car with all the delicate care and precision it needs and feel like a proud sister when seeing James May drive one of Dad's "other babies" on TV! 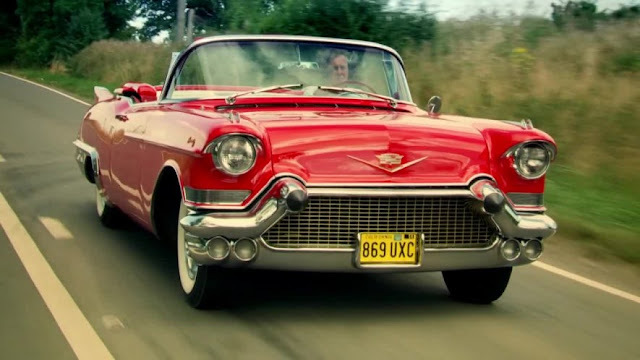 James May driving the famous 57 Caddy in his show "Cars of the people." 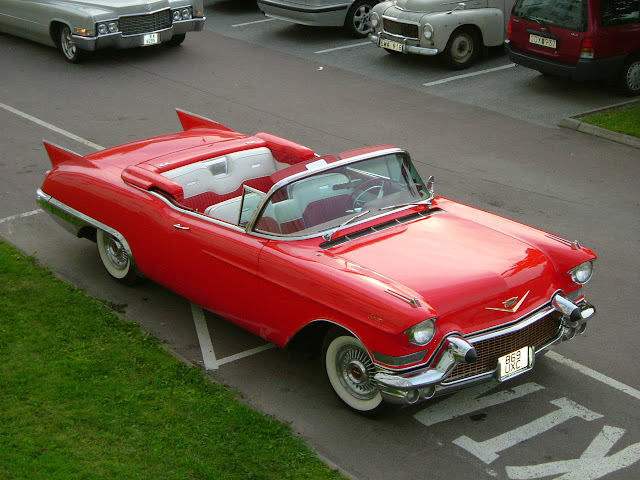 So there you have it, a few of my favourite Classic American Cars from the good old days! Let me know what your favourites are and if you have a dream car too!